Ask Which? – should I take Kwikfit to court? 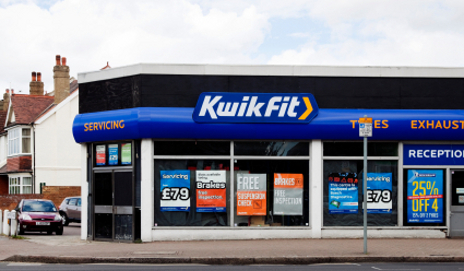 Terry asks: I recently had an annual service at Kwikfit, including fitting two new front tyres. About three weeks after, when hand washing my car, I discovered damage to both sills of the car at the two front jacking points. The damage appears to be caused by upward thrusts to the sills. It doesn’t seem too severe, yet I was given a price of £400-plus to fix it. I’ve written twice to Kwikfit and had them inspect the car, but they’re denying liability. Is it worth pursuing through the small claims court? Whenever you pay for any service the contract is governed by the Supply of Goods and Services Act 1982, which states that the service should be carried out with reasonable care and skill. If it isn’t, you can expect the service provider to put it right, or claim damages for the cost of having to put it right. In your case, if Kwikfit are refusing the claim you may have to consider obtaining an independent report stating how it is believed the damage was caused (i.e. as stated by you, that it is clear it is recent etc). If they still did not pay upon receipt of a report, then you could consider legal proceedings, such as the small claims court. Before doing so you would need to send a ‘Letter before claim’ to Kwikfit – you can use our template letter to make this process quick and easy. The small claims procedure is a quicker and simpler way of using the courts to settle disputes than other parts of the courts system – you don’t need a solicitor, and the hearing itself is fairly informal. But remember the small claims court is still a last resort for dealing with problems. If you can, it’s best to try and resolve the problem before it goes to court. I hope this helps you; please be aware that the guidance given is limited by the information given and I would strongly advise that you seek further legal advice before obtaining a report or issuing proceedings. Have you had success in getting a company to take responsibility for damages it has made to your property? Or have you taken a company to the small claims court? Consumers deserve protection against damage to their property but companies deserve protection against false claims too. In Terry’s case it was three weeks before the damage was discovered and could have been caused after the vehicle left their premises, or could have been present before they worked on the car. It is important to look for and report problems as soon as possible. attach if claim should fail subject possibly to that of witnesses which is rare. The article says that the damage was discovered about three weeks after the work was done on the car, otherwise I would have agreed with you. We don’t know on what grounds KwikFit denied liability. Anyway, I wish Terry the best of luck. I had a little problem with KwikFit years ago and wrote to Tom Farmer. I can’t remember the outcome, but I did get a nice letter. and pertaining to the Contract entered into. If you have not already photograghed the damage, do so now with a witness and date.This may help to confirm the damage is new by the presence of bright non-rusted steel. Send Quickfit a recorded delivery letter detailing the damage and give them a final opportunity to repair it. In addition state that if you do not hear from them within a week you will make alternative arrangements for the repairs and you will look to them to reimburse the costs. This style of letter did the trick with a double glazing firm that damaged a french window frame by trying to enlarge it with a chisel when they found that their new pane was too big to fit! I did have the advantage of actually watching the damage being inflicted and telling them to stop! Limitation period not quite looming…. but watch this space…..
We were concerned to read about your problem above. We would like to discuss this further with you to try and help. Please could you message me your contact number? Someone at head office will give you a call. Or you can contact me directly at kwikfitwebcare@kwik-fit.com. ‘I’m pleased to report we have a result from exposing my problem on Which Conversation. I met with Kwikfits Simon King Divisional Director South & West on the 10th December 2011 at the local Kwikfit service centre for him to inspect the damage to my car and he agreed it could have been caused in ramping the vehicle up for tyre change. He has given written consent for me to go ahead with the repair and subsequently agreed the quote given to me by approved Fiat body shop, in the sum of £456 inc. vat. Good to hear and we’re glad we could help! We have a complaint with Kwikfit. We took our car in for brake repairs that had been identified at the previous MOT. When we collected the car on the Friday evening there was a strange noise that hadn’t been there before. We returned it on the Monday morning, they then said they couldn’t find out the cause of the noise and would get their expert to look. Once that happened they said they still didn’t know what the noise was but it was the gearbox and it could ‘go at any time’ and they said they had called a nearby gearbox company who replaced the type of gearbox in question. We took the car away and when we visited the gearbox company, the owner told us he’d had a telephone call from Kwikfit and he remembered in detail what happened. The Kwikfit mechanic had called him for advice when repairing our brakes as he had broken something when doing the work and lots of little metal bits had dropped inside the gearbox!! So he knew he had caused damage and had lied to us and sent us away with a dangerous car! He hadn’t given us an MOT certificate either. So the gearbox company wrote us a letter stating what had happened (it was the driveshaft Kwikfit had broken) and we wrote a detailed letter of claim to Kwikfit. Incredibly the area manager wrote a very brief letter (no investigation whatsoever) with bizarre statements in it, saying it would need investigation to see what was wrong when we had provided a letter proving what was wrong and that they had given us a free driveshaft to try to resolve the noise!! They had broken the driveshaft so of course they should replace it free and it was the breaking of it that caused the noise in the first place! So we emailed back stating their letter was wholly unsatisfactory and have chased up a response with a phone call and they have ignored us so far. We are at the point of suing them, the gearbox will cost £800 plus VAT to replace not to mention other associated costs such as loss of amenity of the car since August. How they have behaved is disgusting, they have lied and then lied more to cover it up in the most ludicrous way. Any advice from @Which would be gratefully received.